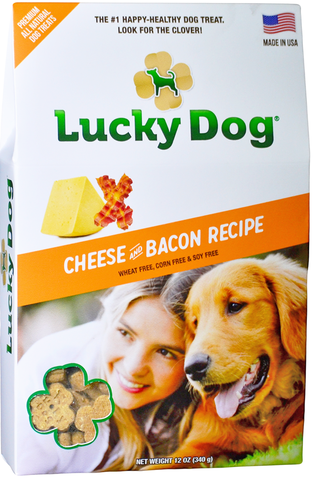 Packed with savory flavor and a hint of honey, Lucky Dog® Cheese and Bacon Treats are oatmeal-based and infused with fiber and omega 3-rich flaxseed. Serve them as a snack, a reward, or just to make a tail wag. My dog Bruno loves these delicious treats!